The beginning days were not very smooth common believe that every so called “Social Organization” has got another face, also endangered our mere existence. The people and Govt. started weighing us in the same standard but we could prove ourselves and our vision, mission, & target and action became clear to everybody. We started our activities from our temporary office at Teresa Diagnostic Centre, 7, Hospital Road, Agartala and HFT shall always remain thankful to this organization for initial boost. Department of Health, Government of Tripura could be convinced about our mission and subsequently unscrupulous practice of vaccination against Hepatitis B was stopped. And eventually HFT has to shoulder the responsibility of Hepatitis B vaccination. From 15th December 2002 with the extreme help of journalist friends we could start our Hepatitis Clinic at Agartala Press Club for providing subsidizes Immunization against Hepatitis B to the people. On 6th March, 2003 the new Govt. took oath and Shri Tapan Chakrabory took over the charge of Department of Health, Govt. 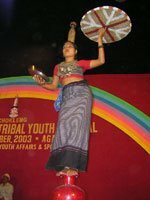 of Tripura. HFT was invited to explain the mission and vision of the organization. Hon’ble Minister after taking the stake of the situation adviced the members of HFT to dedicate for elimination of Hepatitis B from Tripura and extend and the activities of foundation to each every corner of the state. Accordingly, the Deptt. of Health allowed HFT to run Hepatitis Clinic in Govt. Hospitals, utilizing MCH centre on every Sunday from 9 AM to 1 PM for Awareness, Immunization, Diagnosis and Treatment and Counseling. The First official Hepatitis Clinic was inaugurated by Hon’ble Health Minister Shri Tapan Chakraborty on Doctor’s Day, i.e. 1st July, 2003 at Udaipur at T.S. Hospital, Udaipur and since then HFT members could never look back. 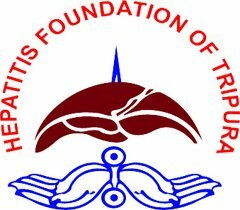 Any individual who pledges to our objectives and have a sense of Social responsibility and ready to work selflessly can be the member of Hepatitis Foundation of Tripura. Our members, the “HFT FAMILY” is an unique blend of people from each and every strata of the Society including professionals like Doctors, Engineers, Businessmen, Govt. Officers, Govt. Employee, Nursing Staff paramedics, media personel, medical representatives, politicians, social activities, bankers, students and unemployed youth etc. All are united for a common cause and this is definitely a rare “United forum” which is non-political & Non Government. * To explain the preventive & protective aspect of various diseases in simplest manner to the people. up to the peripheral level. * To provide counseling services to the patient of Hepatitis and their relatives. * Screening of family members of Hepatitis B. * To provide necessary treatment to the patient of Hepatitis. * To create a Hepatitis Registry in the state. * To participate in various Health related programme. * To extend the activities in different sphere of health care delivery system. 1. Running of Hepatitis Clinic on every Sunday from 9 AM to 1 PM in all 26 branches (at present) for providing immunization, awareness and counseling and treatment services. 2. Organizing Awareness camps at length and breadth of the state. 3. Organizing Awareness program on HIV & AIDS. 4. Organizing awareness program in schools and colleges. (as permitted by the Department of School Education & Higher Education, Government of Tripura respectively). 5. Awareness campaign among TSR jawans, police and paramilitary forces. 6. Awareness campaign at Health Institutions among Health Care Providers. 7. Running Liver Clinic from 5 PM to 7 PM at the Central Office at Ramnagar Road No. 3, Agartala. 8. Regularly maintaining Central Office at Ramnagar Road No.3, Agartala, (Working hour 3 PM to 9 PM). 9. General & Specialist Health Camp at various places of state. 10. Publication of book, booklet, leaflet etc. for awareness. 11. Publication of Quarterly Newsletter from August 2006. 12. Observation of World Hepatitis Day on July 16th every year. 13. Organizing seminar on Hepatitis/Health related matters. 14. Organizing Super Specialist Health Camp for treatment of Hepatitis B & C / Other disease. 15. Awareness through print & electronic media. 16. Release of audio & video cassettes & CDs. 17. Organizing Quiz competition/Essay writing competition /sit & draw competition for students. 18. Participating in all Govt. program including “Health Fair” to propagate Health awareness. 19. Working with other professional & Health related organization. 20. Research activities in Hepatitis B & C and HIV & AIDS. i. Working in the field of Hepatitis Particularly for prevention of Hepatitis B & C.
ii. Immunization against Hepatitis B through out the state of Tripura at a highly subsidized rate. Present rate of vaccine is Rs. 20/- (rupees twenty) for children upto 10 yrs & Rs. 40/- (Rupees forty) for others. iii. For diagnosis & treatment we are running “LIVER CLINIC” in our Central Office at Ramnagar Road No. 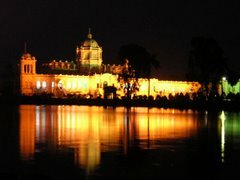 3, Agartala. iv. Organizing Specialist Health Camp in various parts of the state. v. Palliative care to the Cancer Patient. viii. Awareness & early detection of cancer. xi. Awareness program on Diabetes and hypertension. xiii. Research work on Hepatitis B & C and HIV / AIDS. xiv. Geriatric Health Care Programs. 1. We have 26 branches through out the state & all 26 branches are working in a similar Tune. 3. Health Camp (upto March – 2008). 4. Super speciacilist Health Camp (Upto March – 2008). Palliative Cancer Care Project : and WHO sponsored the pilot project as per directive of Agartala Govt. Medical College. A two tier organizational system governs the total activities of the foundations. Central Executive Committee (CEC) is the top most body to supervise all activities and all the branches are headed by the branch committee. 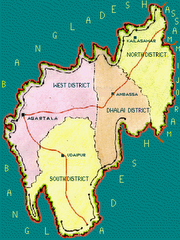 The CEC operates from State Capital Agartala and having its office at Ramnagar Road No. 3, Agartala. It is maintaining liaison with all branches. CEC is a 15 Members Committee and Chairman & Secretary of all the branches are the members of this Committee by virtue of the post. It organizes meeting on every Sunday at 5 PM in the central office. Branch Committees are consisting of 11 members and organizes meeting on 1st Sunday of every month. Hepatitis Clinic are situated in MCH Centre of respective Govt. Health Institutions & provides Hepatitis B Immunizations at a subsides rate. 2. Net working with All Tripura Govt. Doctors Association. 3. Net working with other Health Related Associations and Social Organizations. 4. Net workings with various democratic organizations. c) National Liver Foundation, Mumbai. CO-ORDINATION WITH VARIOUS GOVT. DEPTTS. 1. Deptt. Of Health , Govt. of Tripura. 2. Department of School Education, Govt. of Tripura. 3. Department of Higher Education Govt. of Tripura. 4. Department of Panchayat, Govt. of Tripura. Every branch organizes Annual Conference in the month of April to June and the state conference is usually organized in the month of July & August. We are registered society under Society Registration Act 1860 No. 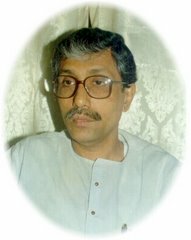 4065-2002, of the Registrar of Society, Government of Tripura. P.O. DHALESWAR,(NEAR POST OFFICE 799007), AGARTALA, TRIPURA PIN - 799007. Hepatitis is an inflammation of the liver. The different types of hepatitis are caused by different things, but they all produce inflammation of the liver. Viral hepatitis refers to several common contagious diseases caused by viruses that attack the liver. The most important types of viral hepatitis are hepatitis A, hepatitis B, and hepatitis C. Newly discovered forms of viral hepatitis also include hepatitis D, E, and G. Non-viral forms of hepatitis can be caused by toxic agents (drugs or chemicals), alcohol, or autoimmune processes. Another form of hepatitis is toxic hepatitis. Toxic hepatitis can be caused by viruses or by liver damage due to toxic substances. Toxic hepatitis is a deterioration of the liver cells caused by chemicals, alcohol, drugs, and industrial compounds. Alcohol abuse is a common cause of toxic liver damage. Hepatitis C is a viral infection of the liver. Some patients have a mild, acute infection that disappears without treatment. When the infection continues for six or more months, it is known as chronic hepatitis C, which can be marked by fatigue and liver function impairment. Those with chronic hepatitis C have an increased risk of later developing cirrhosis or liver cancer. I recommended TIENS Product for you.